One of the nagging questions of this election is the emotional, almost violent, reaction of Obama supporters to Sarah Palin. The absurd and offensive verbal abuse hurled at Palin has been unprecedented, and the mainstream media has led the charge. But why? 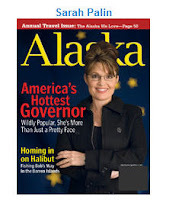 Many have speculated that Palin represents a threat to old-school liberal feminism. Maybe. Some think that Palin's gun-totin' moose-huntin' lifestyle cannot be tolerated by the big-city liberal elites. Okay. Others guess that Palin's decision not to abort her child with Down Syndrome is a real life threat to the abortion-on-demand dogma. Makes sense. But all these comments have missed what I believe to be the reason Obama supporters and the mainstream media hate Sarah Palin so much. Why do they hate her so much? She's happy. Unhappy people can't stand happy people. As others have noted, Obama rallies are not happy events. Neither is the Obama campaign. There is an angry tone, a desire for revenge against those who supposedly have done the people wrong, a settling of old scores. While Obama preaches hope, the "subtext" of his campaign is anger and frustration. For all the times I have seen Obama on television, only once or twice have I seen him laugh. The mainstream media is no better. Is there a single happy person at MSNBC, CBS, NBC, ABC (well maybe not ABC), CNN, The New York Times, The Washington Post, or elsewhere in the bastions of the elite media? Palin's happiness simply is something that cannot be tolerated by the unhappy people who run traditional news organizations. A vote for McCain/Palin is a vote for people who are happy -- in their lives, their families, their country. A vote for Obama/Biden is a vote for angry people. You choose who you want running this country for the next four years. The morning after the election, the disappointment will begin to settle upon the Obama crowd. Defeat -- by now unthinkable to the devotees -- will bring heartbreak. victory will steadily deliver the sobering verdict that our troubles won't be solved by a leader's magic. Two thoughts about this. First, isn't the Iranian policy of "buying off" the people the Persian version of Obama's economic plan? Large government subsidies (for example, tax refunds for people who don't pay taxes) may be popular and help win elections, but they don't grow the economy. Large government without economic growth is a house of cards which eventually crumbles. Second, if Iran is the greatest benefactor of terror, should we embrace the Iranian leadership with President-to-President photo-ops? Having our President meet with the Iranian leadership, regardless of the words spoken, will have the effect of strenthening the mullahs at the very moment when we should be rejecting the legitimacy of the mullahs in favor of the Iranian people. Barack Obama has put forth a plan to issue refundable income tax credits so that people who pay no income taxes will get “refund” checks from the federal government. Obama justifies these payments as being a refund of “regressive” payroll taxes. At the same time, Obama proposes to uncap the limit on wages subject to social security taxation without a corresponding increase in benefits. Obama’s proposals undermine the foundation of social security by divorcing contributions from benefits, and converting social security tax contributions into a wealth redistribution mechanism. “We can never insure one hundred percent of the population against one hundred percent of the hazards and vicissitudes of life, but we have tried to frame a law which will give some measure of protection to the average citizen and to his family against the loss of a job and against poverty-ridden old age." Over the decades, the benefits provided under the rubric of social security expanded greatly, to include disability and death benefits, spousal benefits, and cost of living adjustments. Social security, however, is not truly a "benefit" bestowed by government. Rather, workers pay into the system through Federal Insurance Contributions Act (FICA) payments on wages. Employers "match" these worker contributions. While the worker does not see a deduction from his paycheck for the employer contributions, employer contributions constitute a tax on the worker’s wages. When the employer sets the worker’s wage, the employer takes into account the employer's matching contribution. While often referred to as FICA "taxes," these "taxes" really are contributions to a system -- contributions which a worker is supposed to "get back" when the worker qualifies for benefits (usually at retirement age, but possibly earlier in cases such as disability). There are other sources of revenue, such as the contributions made by self-employed individuals, but FICA is by far the largest source of funding for our social security system. Social security revenues go into the social security "trust fund." Of course, there is no bank account holding such trust funds. Most of the funds have been "loaned" to the federal government to cover government expenses. The social security system is owed a massive "IOU" by the federal government, and it is federal income tax revenues that ultimately are used to pay back this IOU and thereby to pay social security benefits. FICA is a "tax" on wages, not a tax on income. You pay FICA on wages regardless of your taxable income. FICA is the heart of the social security system. Yet it is that very heart that is at risk from Obama's tax plan. "Barack Obama will restore fairness to the tax code and provide 150 million workers, including 1.7 million Iowans, the tax relief they deserve. Obama will create a new “Making Work Pay” tax credit of up to $500 per person, or $1,000 per working family. This refundable income tax credit will provide direct relief to Iowa families who face the regressive payroll tax system. It will offset the payroll tax on the first $8,100 of their earnings while still preserving the important principle of a dedicated revenue source for Social Security. The “Making Work Pay” tax credit will completely eliminate income taxes for 10 million Americans nationally, and nearly 175,000 hardworking Iowa residents. The tax credit will also provide relief to nearly all of Iowa’s 200,000 self-employed small business owners who struggle to pay both the employee and employer portion of the payroll tax. The “Making Work Pay” tax credit offsets some of this self-employment tax as well." So how does Obama's use of income tax refunds of payroll (FICA) tax contributions endanger the social security system? Obama's tax plan amounts to double dipping. Approximately 30-40% of taxpayers who pay no federal income taxes get a refund now of their payroll tax contributions through refundable income tax credit. These same people get those payroll tax contributions back a second time when they collect social security. Many commentators have noted that Obama's refundable tax credit plan amounts to welfare for people who pay no federal income taxes. I have not seen any commentators, much less the mainstream media, question the double-dipping nature of Obama's tax plan as it relates to social security. Equally important, Obama's tax plan changes the very nature of social security. No longer will social security be a system in which workers contribute now in order to "get back" the contributions at retirement. For a large percentage of the population, there will be no real contribution to the social security system; those contributions will have been "refunded" through "income tax credits" long ago. As a nation we are struggling to meet the social security obligations to workers who pay into the system. Obama has yet to explain how we will meet those obligations in the future when a large percentage of contributions already will have been refunded once before. To make matters worse, Obama plans to remove the wage limit on FICA taxes for upper income taxpayers without a corresponding increase in social security benefits down the road. FICA payments for upper income taxpayers will truly become a tax to fund general government spending, rather than a contribution to a retirement system. The net result of Obama's tax plan is to change the nature of social security in ways not seen since the Social Security Act was signed in 1935. Regardless of whether you are a low or middle income taxpayer who pays no federal income tax, or a high income tax payer who pays higher marginal rates and unlimited wage taxes, social security will no longer be a system in which you contribute now and receive back those contributions later. As with so many things in Obama's tax plans, social security "taxes" or "contributions" become just one more method of redistributing wealth. By separating contributions from benefits, however, Obama threatens the foundation of the social security system, and opens the social security system to all manner of political maneuvering. The heart of Obama's tax plan is taking from the "rich" and giving to the less rich. Yet Obama's tax plan is based on a fallacy that the "rich" will not change their economic behavior in reaction to higher tax rates. History tells us, however, that economic redistribution plans fail because the producers of society would rather not produce, than have the fruits of their production taken away and given to others. Obama can raise the tax rates on income, but he cannot force people to generate income to be taxed. The people may just say "no." This resistance will not come from evading taxes, but from evading income. In the end, as must all economic redistributors, Obama either will have to resort to repressive measures, or will have to abandon his tax plan. Regardless, the economic damage will be deep and long lasting. The best example of this phenomenon is the forced collectivization of farms in the Soviet Union from 1928-1932. During these years, Stalin forced the collectivization of much of Soviet agriculture. In some circumstances, peasants lost the private ownership of land to the collective, in other instances land owners where forced to give most or all of their production to the state or collective. The forced collectivization was more violent at some times than others, but the consistent theme was the use of government power to force the successful farmers (the so-called "Kulaks") to subsidize less successful farmers and the state. Should Obama win, and hold sway over a Democratic-controlled Congress anxious to raise income taxes on the "rich," Obama will be in for a rude surprise. There is nothing Obama can do about people who would rather not work than have the fruits of their labors confiscated. Even Obama cannot change human nature. Think the Article and Video are farfetched? See this 10/31/2008 report: Syrian 3rd Army moves south from Iraq border to face Lebanon and Israel and this 11/3/2008 report: Syria moves more tank-artillery forces south to Israel border, "Senior IDF officers and some Western military sources are perplexed by the Israeli government’s failure to pursue deterrent action against the Syrian tanks poised in battle array on its border. Instead, the outgoing prime minister Ehud Olmert is busy trying to reviving indirect talks with Syria before he quits, while defense minister Ehud Barak and Kadima leader Tzipi Livni appear unconcerned." I created this blog after a conversation with a good friend of mine, someone I respect tremendously for his personal strength under pressure. The topic turned to politics (he brought it up), and we had quite the argument (still friends) over the election. My friend supports Obama, and was shocked that I support McCain. What struck me most were not the words spoken, but the sense of fear in my friend's voice. I had never heard that from him before. Fear of the economy and market turmoil more than anything. Fear that his personal stock portfolio had been damaged affecting his retirement. Fear that had manifested itself in an unquestioning belief in Obama's "hope" message. Barack Obama has vilified a small minority to whip up popular anger. Obama has turned that anger into political support. While Obama portrays himself as a new style of politician, the mistreatment of a small minority to gain popular support is one of the oldest tricks in the political book. History tells us, however, that politicians who use such tactics rarely stop there. The small minority vilified by Obama is the "richest 5%" of people. In almost every speech, Obama harps on the need to tax the richest 5% more. Joe Biden says doing so is patriotic. What's not to like about maligning people who make more than we do? After all, they're only 5% of the population. The rest of us are safe. Maybe when Obama is done taxing them, we can loot their houses and steal their women. Haven't we seen this tactic before? Haven't we learned the people who play class warfare or set up minorities for ridicule never stop at that. When there is not enough money to squeeze from the unpatriotic richest 5%, Obama will move on to the unpatriotic richest 10%, then 20%, and so on. Before you know it, anyone who so much as questions Obama's policies will be ridiculed, investigated, targeted and denounced. Don't believe me? There's this guy in Ohio, I think his name is Joe the Plumber, who can tell you all about it. Totalitarian societies do not start out totalitarian. Whether it is Vladimir Lenin, Fidel Castro, or Hugo Chavez, dictators start with a minority and then spread their intimidation to the general population. The tipping point is when the press becomes the cheerleader for the new leader, not the independent watchdog. We have already passed that point long ago in this campaign. The mainstream press does not need to be intimidated; the press already is part of the campaign. At the rate we are going, who will be left when Obama comes for us? "The traditional media is playing a very, very dangerous game. With its readers, with the Constitution, and with its own fate. But nothing, nothing I’ve seen [in my career] has matched the media bias on display in the current Presidential campaign. Republicans are justifiably foaming at the mouth over the sheer one-sidedness of the press coverage of the two candidates and their running mates. But in the last few days, even Democrats, who have been gloating over the pass - no, make that shameless support - they’ve gotten from the press, are starting to get uncomfortable as they realize that no one wins in the long run when we don’t have a free and fair press." Respected financial journalist Charles Gasparino has an excellent article, entitled An Obama Panic? In the article, Gasparinio makes a point the mainstream media ignores: While Obama certainly did not cause the credit and market crisis, the fear of an Obama victory is fueling the crisis. As the election nears, and Obama rises in the polls, the markets have gotten even more irrational in their selling panic. The present economy, even with the forecast of a recession, cannot explain why so many investors are heading to the exits. "Overall, his plan includes some of the most lethal tax increases imaginable, including a jump in the capital-gains rate. He'd expand government spending massively, with everything from new public-works projects to increases in foreign aid to a surge in Afghanistan - plus hand out a token $500 welfare check that he calls a tax cut to everyone else. This is clearly the wrong way to go in the wake of an economic meltdown - yet Obama, for all his talk of how willing he is to compromise, of how he'd bring people together, is sticking to his tax guns." The stock market will not rebound unless and until it is clear that we have a president-elect who believes in the markets. Someone who understands that the people's money is not his money, who accepts the principle that success is not a crime. Someone who has learned from history that raising taxes diminishes and distorts economic activity, causes businesses to cut jobs, and ultimately results in lost revenue to the Treasury. Tens of millions of Americans have lost trillions of dollars of net worth in the past three months. The best way to recoup that net worth is to grow the private sector, not the government. John McCain understands these principles, Barack Obama does not. Choose at your own peril. It would be so much easier to jump on the Obama bandwagon, to imagine hope, to wish for the Dear Leader to save us, to be popular with those who are oh so smart, to be polite at cocktail parties, to cower in silence, to simply take what we are given, to walk blindly into the night. But nothing worth having has ever been easy. As reported by ABC News "Mark my words," the Democratic vice presidential nominee warned at the second of his two Seattle fundraisers Sunday. "It will not be six months before the world tests Barack Obama like they did John Kennedy. The world is looking. We're about to elect a brilliant 47-year-old senator president of the United States of America. Remember I said it standing here if you don't remember anything else I said. Watch, we're gonna have an international crisis, a generated crisis, to test the mettle of this guy." Look for my article, A Harvard Trial Lawyer for McCain, at American Thinker website. The United States Supreme Court has vacated a 6th Circuit injunction requiring the Ohio Secretary of State to implement procedures to prevent voter fraud. The Supreme Court decision is here, http://www.supremecourtus.gov/opinions/08pdf/08A332.pdf. Of note, the Supreme Court decided the case on very narrow grounds, that the Ohio Republican Party did not have standing as a private party to enforce the Help America Vote Act of 2002 (HAVA). The Supreme Court accepted the Democratic Ohio Secretary of State's strict constructionist view of who has a right to enforce HAVA. What ever happened to judges invoking the "spirit" of a law, or "fundamental fairness," or the "public interest"? I guess that only applies where the wording of the statute helps Republicans. The first chart tracks the Dow Jones Industrial Average from 1920-1940, when the average went from a high of 380.33 in 1929, to a low of 42.84 in 1932. The Dow Jones would have to drop below 2000 in the current market to replicate the drop experienced during the Depression. The second chart covers 1960-1980, and again the volatility is dramatic. From a high of 1051.79 in 1973, the market dropped to 577.60 in 1975, almost a 50 percent drop. There were dramatic drops in 1970 and 1978, as well. Volatility is part of our markets. Anyone who thinks we are going through the worst economic times since the Depression simply hasn't studied history. And anyone who says that we are witnessing the end of capitalism either ignores the resilience of our economic system, or is engaging in wishful thinking. Here is a link to my article, published in The Ithaca Journal, on how "Risk in the Mortgage Industry Spurred Meltdown": http://www.theithacajournal.com/apps/pbcs.dll/article?AID=/20080927/OPINION02/809270304/1014/NEWS17 . Joe the Plumber made it to prime time in last night's debate. In fact, just about the only thing anyone will remember about the debate is the name Joe the Plumber. Joe the Plumber first became known when he confronted Barack Obama during a campaign stop, complaining that Obama's tax plan would make it harder for Joe to buy and successfully run a plumbing business. The video is here: http://www.cnn.com/video/#/video/politics/2008/10/15/sot.obama.joe.the.plumber.cnn. Most commentators have focused on the "spread the wealth" language used in Obama's response, arguing that Obama seeks to use the tax code to redistribute wealth. Fair enough, but that misses the point. The "spread the wealth" language is the symptom, not the disease. The key wording in Obama's response is "I just want to make sure that everybody who is behind you, that they've got a chance for success too." The disease is that Obama sees the economy as a zero-sum game, where one person's success deprives those "behind" him of success. The only way to ensure the success of those "behind" is taxation of those "ahead." Obama doesn't seem to understand that Joe the Plumber's success does not deprive anyone of anything. To the contrary, the success of Joe the Plumber helps the economy, helps his employees, helps his customers, and keeps all their families from seeking government handouts. Success is not a crime which needs to be punished, provided that the success is achieved lawfully. Obama's lack of understanding is evidenced by his repeated assertions that most small businesses will not receive tax increases because they don't earn over $250,000 per year. So, let's see if we understand. So long as a business is not successful, we won't tax it heavily. But should the business start to grow, opening new stores and adding employees, we will punish the business owner. That sure is a prescription for growing the economy. Joe the Plumber understands the stupidity of Obama's view of the economy. See here (http://cosmos.bcst.yahoo.com/up/player/popup/?rn=4226712&cl=10231382&src=news) and here (http://blogs.abcnews.com/politicalradar/2008/10/joe-the-plumber.html). Unfortunately, if the polls are correct, most of us still don't understand. Will 401(k)'s Disappear in the Interest of "Fairness"? Many people talk about the use of the "race card." Playing the race card does not mean talking about race or discrimination, which are legitimate political and moral issues. Playing the race card is the use of false accusations of racism to shape the political debate and stifle political opposition. The Obama campaign, its supporters, and the pro-Obama mainstream media, play the race card the way Vladimir Horowitz played the piano, at times subtle and nuanced, at times dramatic and intense. But play the race card they do, time and again. Calling the use of the term "fairy tale" racist was incomprehensible, but the accusation put the Hillary Clinton campaign back on its heels, and silenced legitimate criticism of Obama's supposed opposition to the war. Since that point in time, no one has dared point out that Obama was extremely cautious in opposing the war, and hardly took a leadership position. Does anyone remember hearing in 2002 or early 2003 about Obama's efforts against the war, or do we only know what Obama says now about that opposition? Bill Clinton's criticism of Obama was correct, but the use of the false accusation of racism shut down that debate, allowing Obama to build a campaign around the fairly tale that Obama actively opposed the war. Barack Obama himself has used race in his speeches to advance his agenda. One of the themes of the Obama campaign over the summer was that the Republicans would try to scare voters by referring to Obama's race. In two now famous speeches, Obama pressed the point that the Republicans would point out that Obama does not look like other presidents, and is "black." Democratic presidential contender Barack Obama said on Friday he expects Republicans to highlight the fact that he is black as part of an effort to make voters afraid of him. Of course, the Republicans had done no such thing, but little did that matter. The implicit accusation that Republicans are racist helped blunt otherwise legitimate political attacks on Obama's inexperience. The latest (but certainly not the only) use of the race card was by John Lewis, a prominent civil rights leader in the 1960s. Lewis has compared John McCain to George Wallace because McCain has questioned Obama's ties to a white domestic terrorist, William Ayers. Huh? How does questioning Obama's ties to a white person smack of George Wallace's use of racial hatred? There is nothing racist about criticizing Obama's connection to Jeremiah Wright, a connection far deeper and more important than Obama's connection to William Ayers. Jeremiah Wright represents the worst element of our society, a true George Wallace albeit of a different race. Wright represents the kind of racial politics which truly divide our nation, and Obama was knee deep in those politics before running for U.S. Senate. Obama and Wright were mutual enablers, and the relationship is fair game. But the race card has worked again. McCain is afraid to attack the Wright/Obama connection for fear of being called racist. It is the stifling of legitimate debate which is fueling anger throughout the country. We are on the verge of electing a president who built his political career on the backs of race-baiters and anti-american zealots, and we can't talk about it out of fear of being called "racist." The suppression of legitimate political expression through false accusations of racism by the Obama campaign and its supporters is the defining theme of the 2008 campaign. This tactic, while it may be successful, is shameful and has damaged our society in ways we may not understand for years. "PREPARE for a new America: That's the message that the Rev. Jesse Jackson conveyed to participants in the first World Policy Forum, held at this French lakeside resort last week. The most important change would occur in the Middle East, where "decades of putting Israel's interests first" would end. Jackson believes that, although "Zionists who have controlled American policy for decades" remain strong, they'll lose a great deal of their clout when Barack Obama enters the White House. "Obama is about change," Jackson told me in a wide-ranging conversation. "And the change that Obama promises is not limited to what we do in America itself. It is a change of the way America looks at the world and its place in it." Jackson warns that he isn't an Obama confidant or adviser, "just a supporter." But he adds that Obama has been "a neighbor or, better still, a member of the family." Jackson's son has been a close friend of Obama for years, and Jackson's daughter went to school with Obama's wife Michelle." I have thought about Sharansky much lately, during our presidential election, when the character of the candidates is so at issue. We all now know about John McCain's refusal to take early release from a Vietnamese prison camp because the military code of conduct required that prisoners leave in the order captured. John McCain felt duty bound to honor that code of conduct, and spent years more in prison because of that commitment. When I think of John McCain's prison story, I am reminded of Sharansky's equally great triumph of the spirit. Sharansky spend almost a decade in Soviet prison because of his activities on behalf of Jews who wanted to emigrate to Israel. Sharansky was subjected to torture and other indignities, but never lost his spirit. Sharansky notoriously refused to obey even the most mundane orders from his captors. Sharansky understood that to compromise even a little would lead to compromising a lot. Throughout his ordeal, Sharansky kept his spirits alive by reading a small book of psalms. In 1986, the Soviets finally agreed to release Sharansky from prison, in a deal in which he was exchanged for Soviet spies in the West. As he was being led to the airplane that would take him away, the Soviets confiscated his book of psalms. It would have been easy for Sharansky simply to keep walking towards the plane and freedom, just as it would have been easy for McCain to take early release from prison. But Sharansky understood that the Soviets confiscated his book of psalms not because they wanted the book, but because they wanted to show that even in this last moment, they were in control. In front of reporters covering his departure, Sharansky sat in the snow refusing to move unless the Soviets gave him back his book of psalms. Here was this diminutive man, after 10 years in prison, on the verge of freedom, refusing to budge unless one of the world's two superpowers gave him back his book. And give him back his book of psalms they did. Sharansky proceeded to the plane, where he read Psalm 30: “I will extol thee, O Lord; for thou hast lifted me up, and hast not made my foes to rejoice over me.” (See Jay Nordlinger's 2005 interview with Sharansky in which this event is recounted, at http://nrd.nationalreview.com/article/?q=Yzc4NzdmZDk0M2NmZTZkODUyMzllNjZlYmU3ZWJkNmQ=). When I think of John McCain and Nathan Sharansky, I think of what it will take for our country to succeed in the war being waged against us by al-Qaida and other fanatics. And the type of leader we need. No compromise, no negotiation, no nuance. As Ronald Reagan said, when asked how the cold war would end, "we win, they lose."